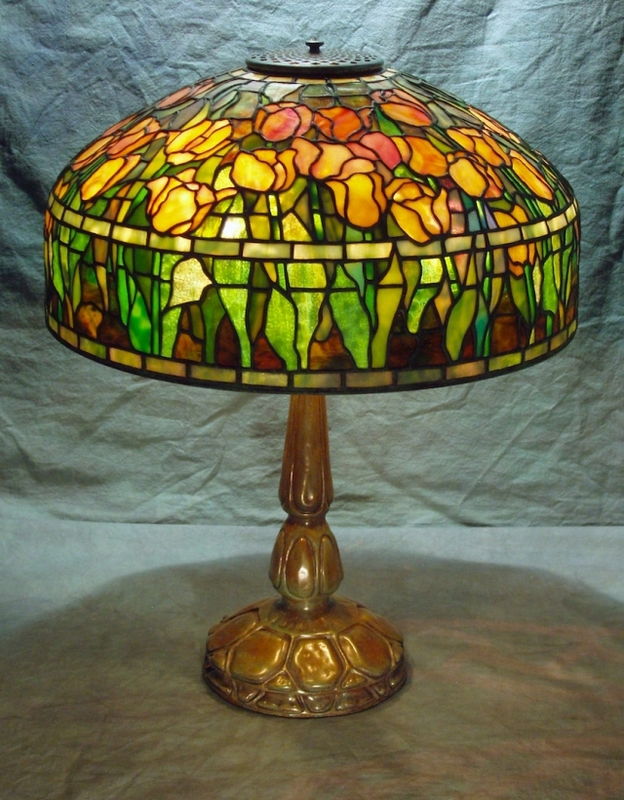 With their seemingly endless array of colors and showy blooms, tulips are frequently found on Tiffany shade designs. This 18″ Tulip shade has a variety of peach, pink, and yellow flowers set against warm greens and rich browns. Shown on the sculptural Mock Turtle base, this lamp was created as a showroom piece in 2007 and is now in a private, local collection.